This is the most special week of the year for the Christian faith. This year we are adding a third Easter service to our resurrection celebration! * Childcare through age 4 for Saturday night. * Children services through 5th grade for Sunday morning services. With the new Easter schedule, we are choosing to have a Maundy Thursday service at 6:30pmon April 18 instead of a Good Friday service. 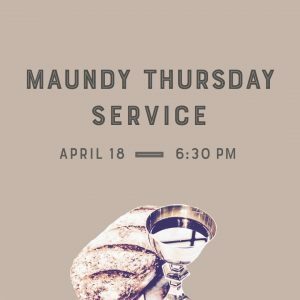 This Maundy Thursday service will have the same contemplative, soul-stirring reflection we are accustomed to preparing for Easter. I am very excited to experience this with you. We will have childcare through age 4. Easter weekend is one of the most significant opportunities we have to attract those not connected to a church to experience Jesus with us. We have invitation cards available for you. Contact me, and I will get them to you. 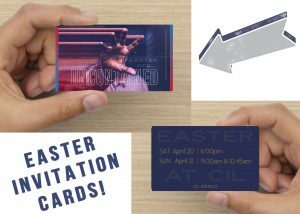 You can put these card in strategic places you work, and personally hand them to people who would enjoy attending our Easter service. I have great anticipation about this week! Easter is just over two weeks away! This year we are adding a third Easter service to our resurrection celebration! 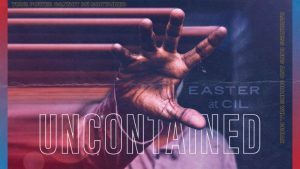 Our theme is Uncontained, and you will know that the resurrection power of Jesus cannot be limited! The last few years we have been packed in our two Easter services, and this surge occurred with the holiday falling around spring break. With Easter Sunday later this year, we anticipate even more people coming to CIL for their encounter with Jesus! So, who should come to the Saturday night Easter service? – For those who volunteer for the Sunday services, the Saturday night option is for you to enjoy a worship experience with your family. On Saturday night, all the elementary students will join us in the sanctuary. The typical children’s ministry will occur for the Sunday services. 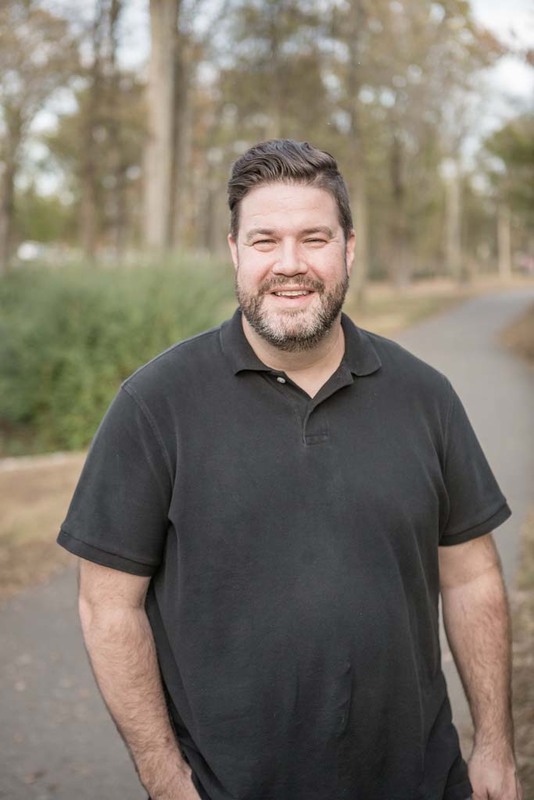 – For those of you who have Easter plans that make attending Sunday service a challenge, the Saturday night service will allow you to worship with CIL and still participate in other family traditions on Sunday. – Some of you will choose to attend Saturday night, so an optimal seat will be available for someone in the community on Sunday. 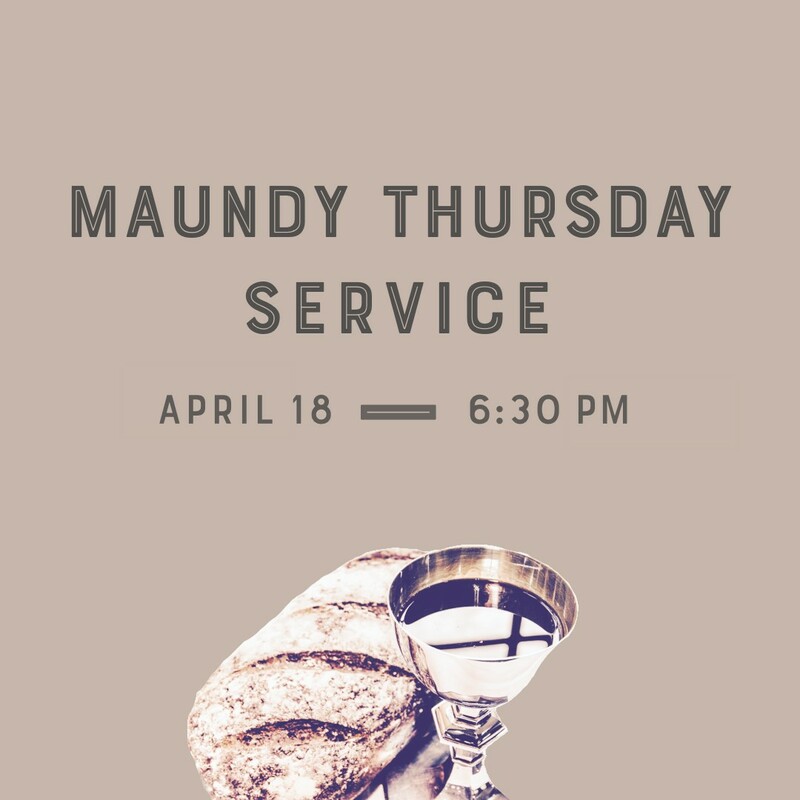 With the new Easter schedule, we are choosing to have a Maundy Thursdayservice at 6:30pm on April 18 instead of a Good Friday service. This Maundy Thursday service will have the same contemplative, soul-stirring reflection we are accustomed to in order to prepare for Easter. 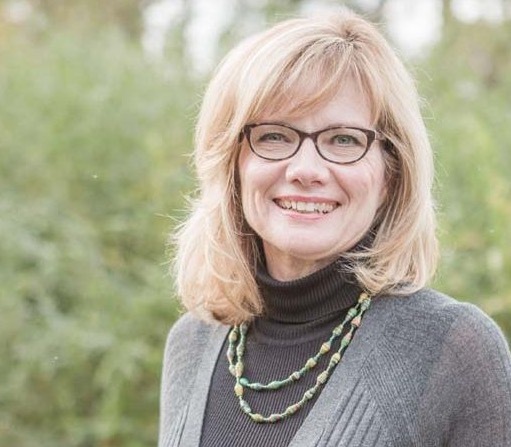 This is going to be an exciting time for our personal faith, church family, and wider community!